Comments: Student Edition. Missing up to 7 pages. Moderate wear, wrinkling, Curling or creasing on cover and spine. May have used stickers or residue. Good binding with NO apparent loose or torn pages. Heavy writing, highlighting and marker. Supplemental materials are not guaranteed with used books. 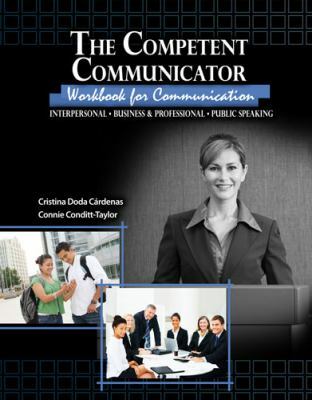 Cardenas, Cristina Doda is the author of 'The Competent Communicator Workbook for Communication: Interpersonal, Business AND Professional, Public Speaking', published 2009 under ISBN 9780757565854 and ISBN 0757565859. Loading marketplace prices 8 copies from $10.96 How does the rental process work?